Hopefully going to get a new flex pipe welded in the front section before replacing the two rear sections. A few questions. Exhaust assembly paste - recommendations for easy assembly AND disassembly? Might want to disassemble again soon to take sump off and clean out. Do these actually need assembly paste they seem so snug? What do I do with the normal, female, outer end on the replacement exhaust section - just cut it off? I only ask cos it means there will be a bit of a gap between the two pipes (maybe up to 10 mm) - if you think about where you'd have to cut the female section. What sort of torque on the four nuts securing the front section to the exhaust manifold? It's worth using assembly paste. 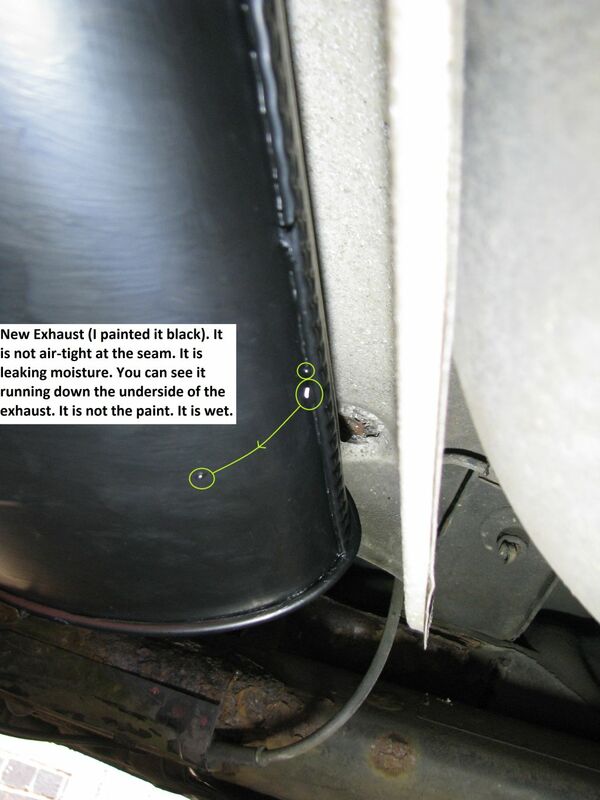 There's a thin slit in the inner sleeve which can leak exhaust fume and noise. Pipes may not be completely round. Sometimes not even exact same diameter if from different exhaust makers. This clamp style can bridge large gaps. Be careful that the exhaust system is not pulled too taut forwards before tightening as you may get vibration against the mounts when you engage the clutch, depending on the other flex points. Cheers for the advice - many thanks! Be careful that the exhaust system is not pulled too taut forwards before tightening as you may get vibration against the mounts when you engage the clutch, depending on the other flex points. Trying to visualise exactly what you are saying. There is only one flex in the front third. 'too taut forwards' would mean that the flex section is compressed rather than stretched - am I right? Would the engine rock back when you engage the clutch - putting the flex into stretch? Just looking at the 4 bolts on the front section to the manifold/front cat. Thinking that Irwin Bolt Grips, or similar, may shear the studs and don't want that. I'm thinking of just buying some Nut Splitters and getting them on there straight away, if I can get them in. Either that or the penetrating spray and rocking the nuts back and forth?? Nut Splitters look so simple when I've seen other people using them on youtube! Don't have a 6N myself. But I have done a few exhausts. You won't compress a flexi-section. I meant the rear of the exhaust which has a spike going through a rubber donut will dangle at the split point. When you lift it to fit in the clamp and slide it in it can be pulled towards front of the car - cause you shortened the pipe when you are sliding all 3 bits together then tightening. This then makes the whole system not hang nicely balanced and then vibrate. Some flexible sections have more give and don't transmit engine movement as much. Never found exhaust manifold stud nuts to be an issue because they get good and hot. Penetrating spray (plusgas is good) the day and evening before. Good quality socket seated deep on the nut. Long handle on the wrench. Ok, got you now about hanging the exhaust. Your explanation is very good. Many thanks! Yes, we've been through this many times - freeing up nuts. Truth is I'm chicken about breaking stuff - and need to keep the studs. Steeveo3002 put me on to Plusgas and gave me some tips. I have good tools. Nut's are 17mm. Two are corroded down to 16mm and the last looks pretty rough - see bottom left but a 15mm would probably go on. If Nut Splitters seem like such a no brainer then why don't more people use them more? Guess I'll just have to try it. Will be next week now as need the car in the meantime. Another little trick with penetrating fluid (as said Plus Gas rather than the likes of WD40) is to tap around the area with a SMALL hammer once you have applied the fluid, this helps in to - well - penetrate. If you can get a small wire brush in there to clean the exposed threads, that may also help. When it comes to actually undoing the nuts, you need a touch like a midwife - anti-clockwise for no more than 1/8 turn, tighten up again and unscrew a LITTLE more each time, applying more fluid as you go. PS I've just seen the photograph - that bottom left nut looks as if it will split all on its own! I have seen (although never used) those 'multi-pin' sockets that fit over even rounded nuts - they seem to be a good idea..
﻿Nut﻿﻿ Splitters seem like such ﻿﻿﻿﻿﻿a﻿﻿ no ﻿brainer ﻿then why don't more ﻿﻿﻿people ﻿﻿use ﻿﻿them ﻿﻿﻿more﻿﻿﻿﻿? Access is normally the issue. The splitter pointy tip (chisel) of the lollipop shaped ones gets damaged/blunt. A mapp gas torch or kitchen gas butane blow torch can help crack rust. Cheers guys for all the help! Yes, access! doesn't look too bad on this instance to be fair. I've got the Irwin bolt grips. Never tried them though. Thing with those is they will only go anti-clockwise so can't do the back and forth trick - which I would probably try first so as not to shear the studs or strip the threads. Not too bothered if the splitters get blunt as long as they'll do four nuts. Will try without first. I have a butane torch but was always under the impression it didn't do much at all compared to oxy acetylene? It can't hurt. I'm always under the belief you should let the nut/bolt cool fully first if you want to save the bolt/stud. Could be nonsense - just my logic. Also I have very little experience with rusty fastener removal! I got my flex pipe through in the post. Just less than £11 from Profusion Exhausts off ebay. I knew it wasn't Interlock lined but was in a rush to get something. It appears to be outer braid and inner bellows construction with no inner liner. Would I be better to go for an interlock lined one? The guy on the phone from Profusion (who was very helpful) said the length I was after wasn't stocked by them Interlock lined but the one they provide would do 100 thousand miles anyway. He said the Interlock lined ones were mainly for performance applications. From what I can gather, there are three types of flex. All have outer braid and inner bellows in common. What do you guys think? I'm assuming the 'No Liner' version is on my car. Should I replace like for like which would be more flexible but less robust than the Interlock Lined. Or go for the Interlock Lined? Edit/Update. So on the old flex. I pulled back the outer braid. 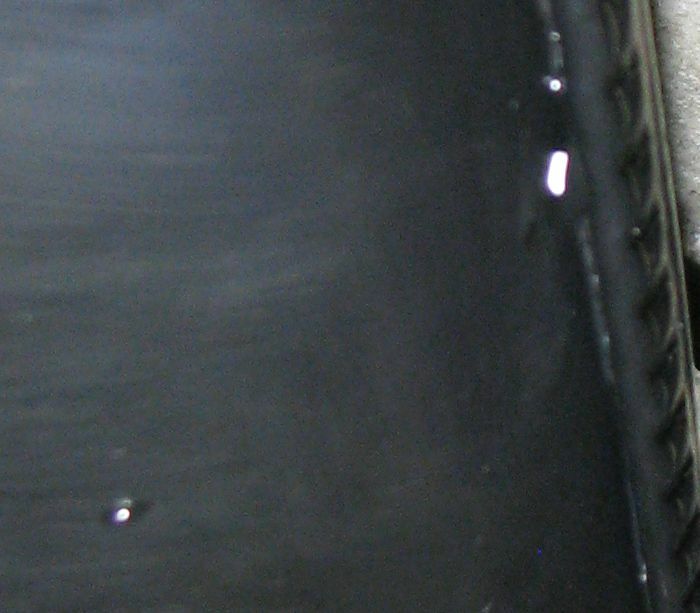 I can then see through some of the holes and cracks in the bellows (the holes are small but many). Looking through the holes there is definitely an inner liner and it is definitely not another braid - so I must assume it is Interlock and it does appear to spiral. So I'm gonna make sure I get another flex with Interlocked liner. Sorry if this bores people to death but hopefully we're all learning something. I want a lasting repair and to put the best part back on the car. If right diameter it'll be fine. Will probably outlast the car. I'm sure you're right on that. I get lost in the details and go off on a tangent. It always happens! Thanks for everyones' help so far and giving me the confidence to soldier on. So you can see I've got 3 bolts undone (one hidden in picture). Didn't think I was gonna get them undone but with the correct leverage they cracked open. Then I finally got penetrating fluid in and rocking back and forth got them undone. The three that I've got undone don't look to have the flange. The one I haven't got undone seems it might have the flange and it's got rusted to the exhaust. I've been trying to cut at the back of the nut with a small (quite rubbish) diamond cutting disc, into the flange. But then I decided against it. I'm resisting using the Irwin Bolt-Grips I've got simply because the force I needed to get the first three bolts undone feels like it might just sheer the stud off if it truly doesn't want to budge. Can't get any penetrating fluid in. Looks like there should be room for the splitters but wondered if the nut did have a flange on whether they would work? Sorry to keep going over this. Just can't afford to knacker that stud. I've got a butane torch and some Normfest Super Crack but I've never got that route to work in the past. Don't think I can get it hot enough! Irwin Bolt Grip or Teng Nut Splitters?? Just about. It's on the ramps so I'm under it. I've already had an old wood chisel under there trying to put better flats on the nut or knock some of the rust off around it. Would need to purchase a good cold chisel first!!! I'm sure it would do the job on the nut but I'm too concerned about the exhaust manifold/front cat putting a crack in it. Think I'm gonna give the splitters a go which will come tomorrow. Think they should fit in and if they do what they say they do then I should have no concerns. I will report back of course. As you know I'm still too scared in knocking stuff about with hammers even when it's probably absolutely necessary - just lack of experience and one car I don't wanna stuff up! By the way what do you think those copper coloured nuts are made off in the picture above? Many thanks for the suggestions on the nuts! I always like to put things back together better than they were in the first place even though for the most part VW seem to do it quite well. Suppose you get what you pay for! Short story: Success at removing dodgy nut! Longer story: Nut splitters are hefty kit. Thankfully they fitted in on the dodgy nut. I played around with them a bit. Went at the nut till I was through enough that the squeeze mashed the nut off the thread a little at about 90 degrees round from where the chisel of the splitter was going in. So I decided not to go through all the way with the splitter cos it was on a bit wonky and didn't wanna touch the thread. Now the thread was broken I put on the PlusGas overnight. Next day put on the Irwin Bolt Grips and the mangled nut came free with a small amount of force and no damage to the stud!! So next step. Get the flex pipe welded in. Gonna get some advice from a fabricator rather than a garage. Probably chop out the old flex, prep and mark the new one up with parts on car before taking it back to the fabricators. New flex is stiffer so need to get this right. Think it's stiffer cos outer braid is totally off the old one. Will update further. Thanks again to everyone so far. To answer a previous question of mine about torque. Haynes says. Exhaust manifold-to-downpipe nuts 40Nm. Use new nuts. Got new gasket as well. Noticed my replacement middle silencer/muffler had a noticeably smaller circumference/diameter. Wondered if this would make any difference to horsepower or should it still be in spec? Also - any exhausts specialists. Is the middle section a silencer/muffler or is it what they call a resonator? Doing some reading on the net and it seems what most people think are silencers/mufflers are in fact resonators. Resonators seems are in the middle of the exhaust and silencers/mufflers at the rear. Ok. So new exhaust totally installed for a couple of weeks. Noticed straight away though - rear silencer is not completely air-tight along the manufacturing seam. You can see in the pictures below. Investigated further today and there is some leakage along the whole length of this seam - is this normal? It is weeping rather than gushing. Other than that - the Bosal exhaust is an excellent fit. ive seen mine with soot marks from there , i guess its a crimped join after all? Hey steveo thanks for the quick reply. Yes crimped like a cornish pasty I suppose! Surely in the manufacture of exhausts I can't be the only one to have the bad luck to get this if it were a one off? After-all, most exhausts are fitted by garages and the car is driven off and never looked at again. Many exhausts could suffer from this and it could be just normal. Just trying to find out. Was just gonna get it welded at the worst point but there is no point in that cos, as said, I've since found, there is some very mild seepage all the way along. Cheers for the advice! Might try some VHT silicone sealant along it or something. Clean the paint out first with a wire brush. The exhaust sealants and putty don't seem to last long externally.